Bring your lunch on April 17 and join the Land Trust to welcome Michael Bell, the Nature Conservancy’s Dangermond Preserve Director. Bell will talk about this mega-conservation project—that includes 8 miles of coastline, windswept bluffs and hillsides and valleys rich with California live oaks. 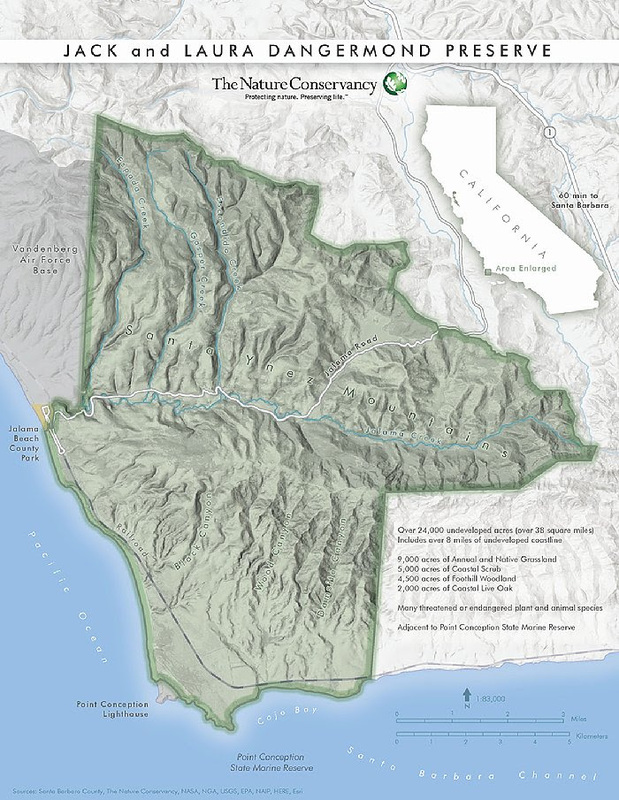 Learn about the Nature Conservancy’s evaluation process for the adaptive management of this property which is home to 39 threatened or “special status” species, including 14 that are considered endangered, as well as Chumash artifacts, and dozens of National Historic Register sites. This is one you will not want to miss. Free and open to the public, but seating is limited. RSVP required.